Here's what you need to know heading into Week 4. 1. Trouble for Cam Newton. Newton has gotten off to a slow start this season, with only 2 touchdowns to go along with 5 interceptions. Also, his rushing numbers are down (just 81 yards through 3 games). 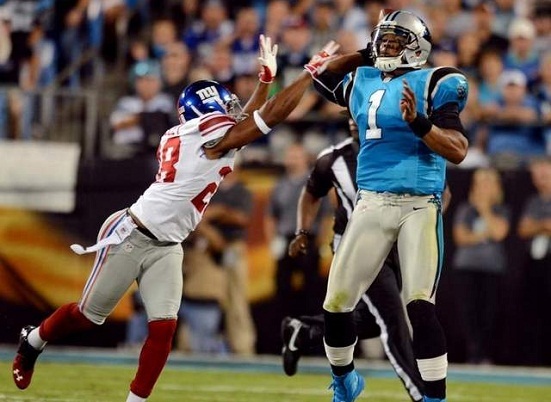 Overall, Carolina's offense seems to be confused, and Newton is at the head of the disarray. The next two weeks are critical for Cam as the Panthers take on a pair of tough defenses in Atlanta and Seattle. If he doesn't start playing better, it might be time to bench or trade him during his Week 6 bye. 2. Lots of fantasy options in Cincinnati. Andy Dalton, BenJarvus Green-Ellis, A.J. Green, and Andrew Hawkins are all quickly becoming major plays in the Queen City. Dalton is averaging 289 yards and 2 TDs through the first 3 games. Green-Ellis has become the primary ball carrier and has 2 touchdowns already. A.J. Green is currently 2nd in the league with 311 receiving yards, and Andrew Hawkins could be a good flex play with 12 catches and 2 scores. Granted, it's still early, but it looks like the Bengals could be one of the more explosive offenses in the NFL this season. 3. Arizona's defense could become fantasy elite. Through Week 3 the Cardinals are 3rd-overall in total fantasy defense points. What makes them such a good play moving forward is a weak schedule. Also, add the fact that they have the always dangerous Patrick Peterson returning punts, and Arizona's D should average at least 10 points per game for the remainder of the season. The next month could see them become even better -- with games against Miami, St. Louis, Buffalo, and Minnesota. 4. The return of Reggie Wayne. Last year was a struggle for Wayne, as he recorded less than 1,000 yards receiving for the first time since 2003. Now with a stable quarterback situation, the 33-year-old veteran looks to be back to his old self. Through Week 3, Wayne has 23 catches for 294 yards, and he leads the NFL with 40 targets. Wayne is a superior route runner with a command of the offense, so he should be Andrew Luck's favorite target all season. It wouldn't surprise me to see Wayne finish the year with over 100 catches and 1,200 yards. In most leagues, it's time to see who really drafted well. If you did well, your roster should not change that much over the bye weeks. If you didn't, you're more likely to scramble every week to pickup backups. The biggest thing is -- don't overhaul your entire roster to compensate for a player that is out for a week. Also, for the love of everything holy, don't be the person who starts a guy on their bye week. Pay attention. My QB's are Dalton and Palmer. Who should I roll with as my starter? Go with Dalton this week against Jacksonville, I have feeling through out the year Dalton will be the better start most weeks.